Electric bikes, are they really cheating? 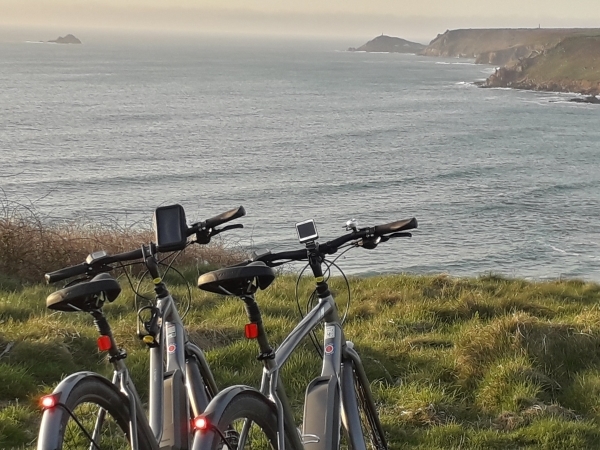 How cycling electric bikes can help anyone and everyone to cycle the challenging and hilly coastal Cornish roads and ideas of where to cycle on your electric bike in Cornwall. Approximately 39% of all bicycles bought in Germany is an electric bike, France and Holland close behind. In England we are slow to embrace this new trend and only now are we just appreciating the merits the electric bike can provide for us. My first encounter with an electric bike was a couple of years ago. It didn’t feel like a real bike. It was heavy and cumbersome; the battery was fussy and the pins on the dim plug kept bending and wouldn’t fit into the charging socket. And if it rained well, it was a fair-weather bicycle which only liked being used in the sunshine. So, my first experience was not a positive one. Since then the technology has been developing rapidly, in particular battery technology and the prices have become more favourable the e-bike is getting more popular. 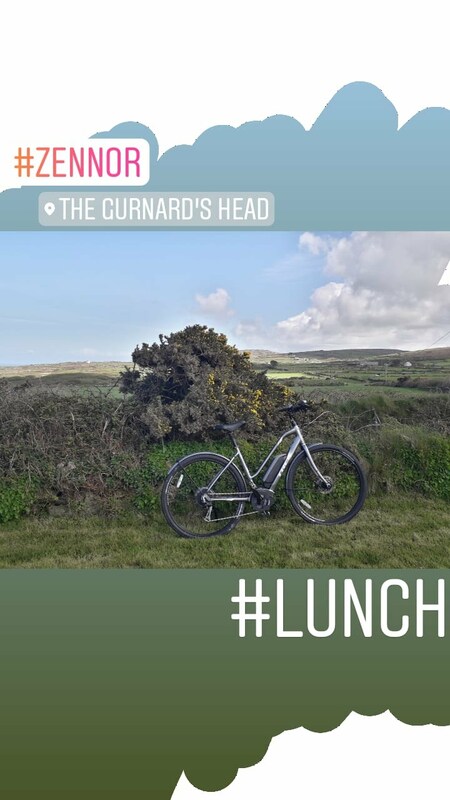 As I love cycling round the Cornish peninsula I was looking for an electric bike that could cope with the rolling hills, high moors and undulating coastal roads which can be very challenging but with scenery that makes it all worthwhile. So after much research I have finally purchased my first electric bike, E-BIKE! 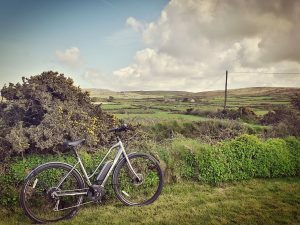 The Trek Verve+ and over the past few months I have tried and tested it over the whole of the Penwith peninsula. 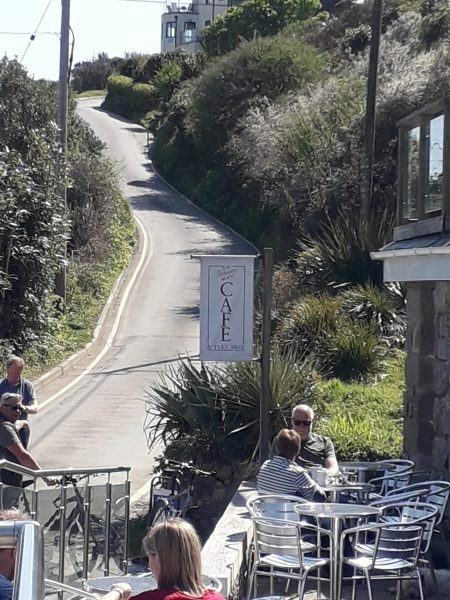 My cycle routes have included some of the steepest hills in the area, including the road to The Minack Theatre in Porthcurno and Reginnis Hill going out of Mousehole and wow did they seem easy! 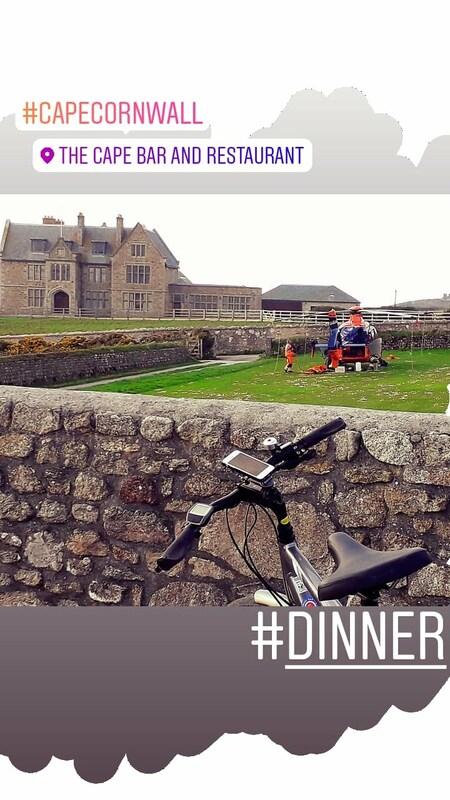 Yes I do still have to pedal but using the turbo assistance that the bike provides, I went up with ease and I got to the top feeling slightly puffed but ready to continue around the peninsula. The bike has been out in the rain and the wind coping easily with elements and I felt comfortable cycling under these conditions. Well it depends on you, what you want to do when you cycle. Yeah, it’s probably cheating if you are in training for a road race or want to stack up the miles you cover in a week with your cycling club. 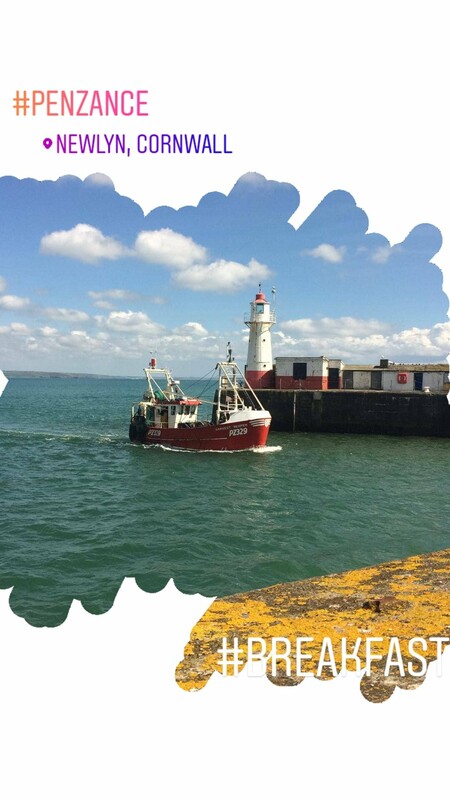 I want to be able to get around the Cornish coast enjoying the area I live in. Take in the views, the fresh air and covering more miles than I would be able to do on my hybrid. And that’s what the e-bike lets me do. I don’t have to be super fit, I can travel further afield than I can cycle on my Trek hybrid (which I love cycling as well). I do feel exercised at the end of the day but because of the pedal assistance I don’t feel so shattered that I can’t do it again the next day (yep I’m not super fit!!!). So no, for me it isn’t cheating. It’s just a different way to explore the coastline and scenery of the area. If you haven’t ridden a bike for a long time, or maybe you just want to see more in a day and you know you wont be able to do it on a regular bike, then this is a great way to do it. A fully charged battery can cover up to about 70miles when using the eco mode. 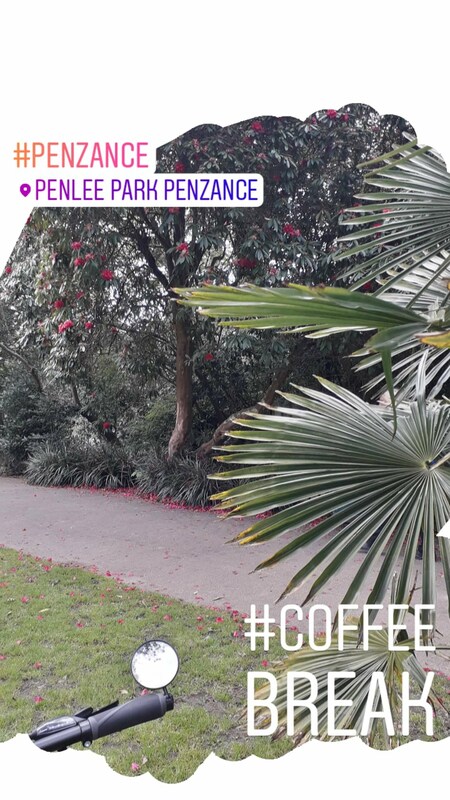 You may want to use the turbo on some of the steeper hills in Cornwall. There is also sport and tour modes, which I haven’t made much use of yet. 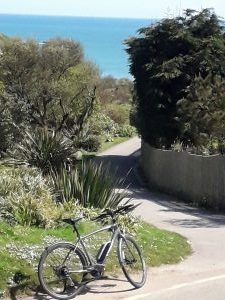 Which ever mode you choose you will glide past those regular cyclists as you go up those hills and round the coastal roads. Not cycled for a while? Or maybe you want to see more of the area in an eco and healthy way. Then give an e-bike a try. 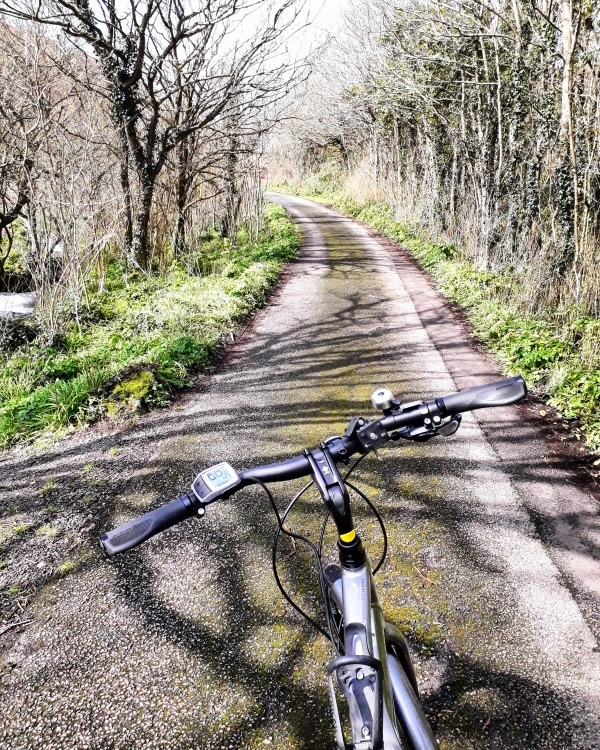 Its the new way to cycle and a great way to explore. 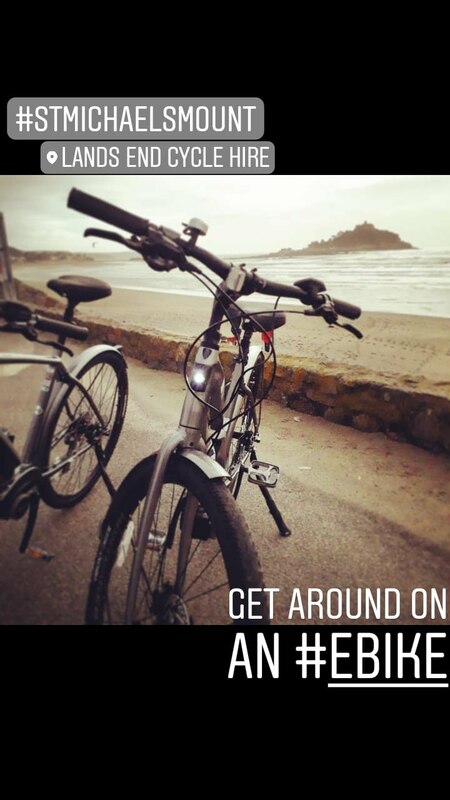 For routes to try on an electric bike in Penwith Cornwall go to Lands End Cycle Hire. Next postWhat are these strange orange circles appearing in our Cornish lanes?